A robust metal folding joint, a rubber-coated anti-slip surface, a long and precise temperature sensor – and waterproof into the bargain! 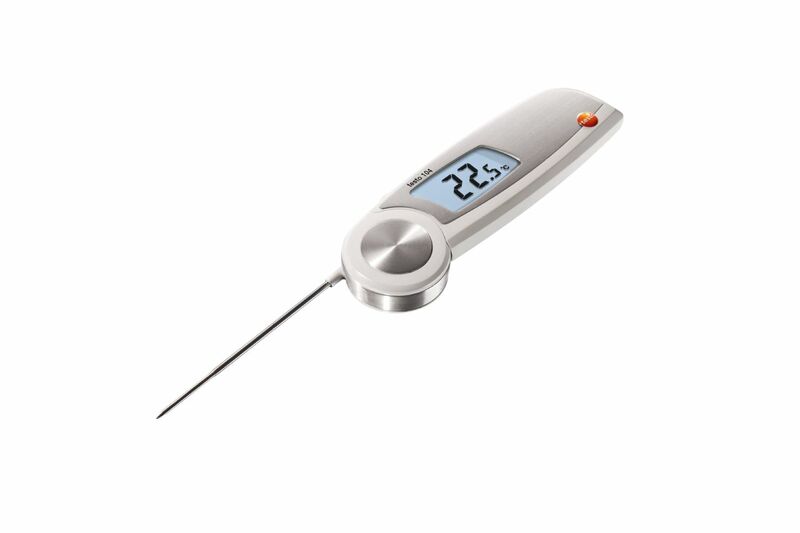 The testo 104 food probe thermometer comes with a whole host of practical features and benefits for use in the food industry. Temperature checks play a vital role in quality assurance, cold chain documentation and hygiene regulations. 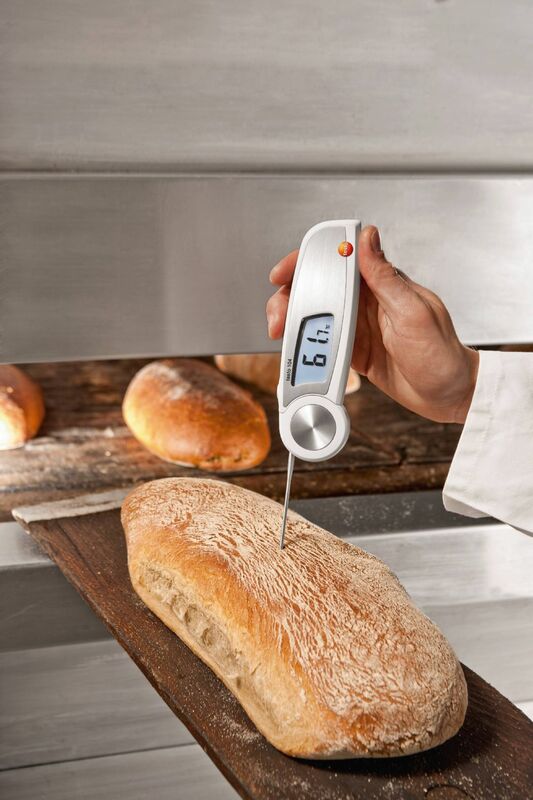 The testo 104 food probe thermometer allows you to carry out quick and easy spot checks during the production, storage and processing of food. 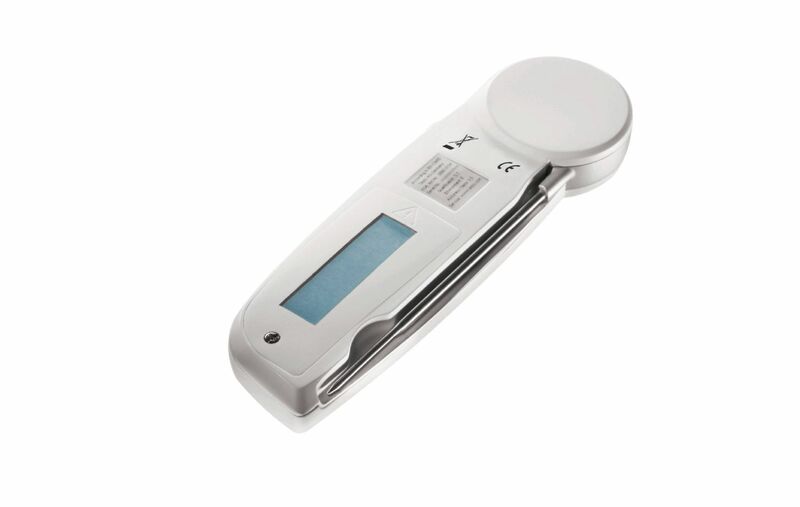 The food probe thermometer measures the core temperature of liquid, semi-solid and viscous media. 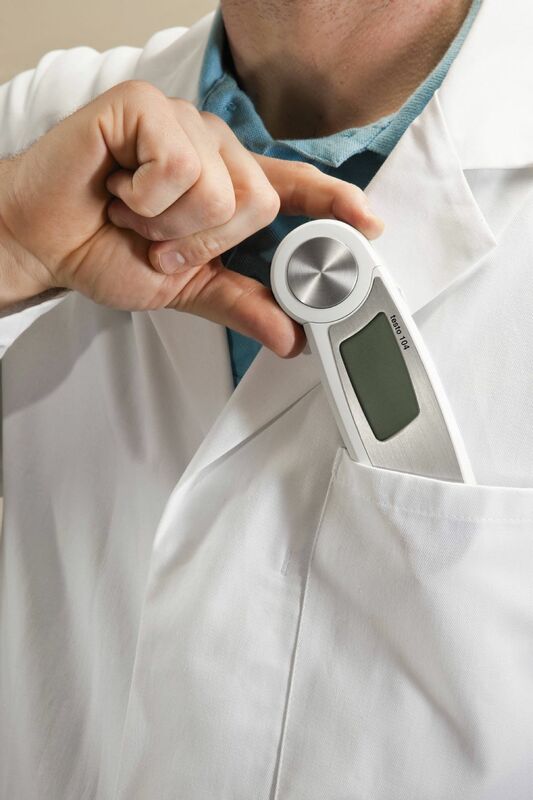 The thermometer’s especially thin but nonetheless rugged sensor tip leaves virtually no trace when inserted. The thermometer can also measure the core temperature of food when the probe has been folded out at an angle of only 30°. This allows you to carry out reliable checks in difficult-to-reach places. 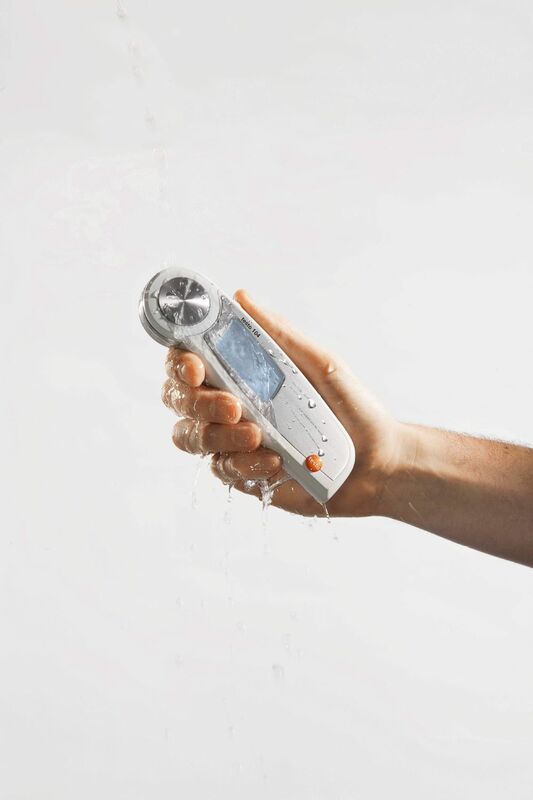 The testo 104 can be cleaned under running water when you have finished measuring. The probe’s rugged metal joint allows it to be folded away and kept in its protective case until you need it again. 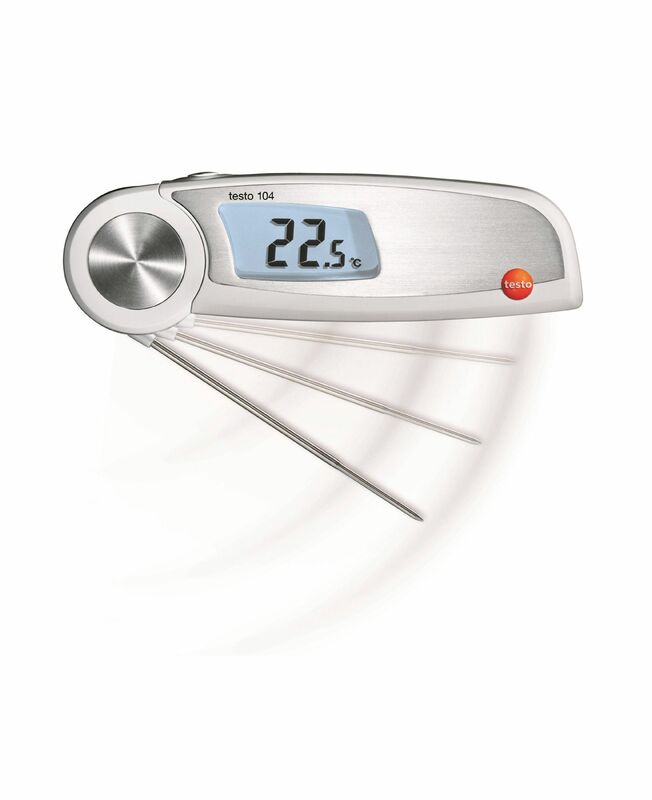 And here’s another practical feature: the testo 104 comes with a set of adhesive color strips which you can attach to the individual meters when more than one of the same model are being used. The testo 104 food probe thermometer is not only HACCP compliant and EN 13485 certified but also splash water protected making it ideal for use in the food sector. 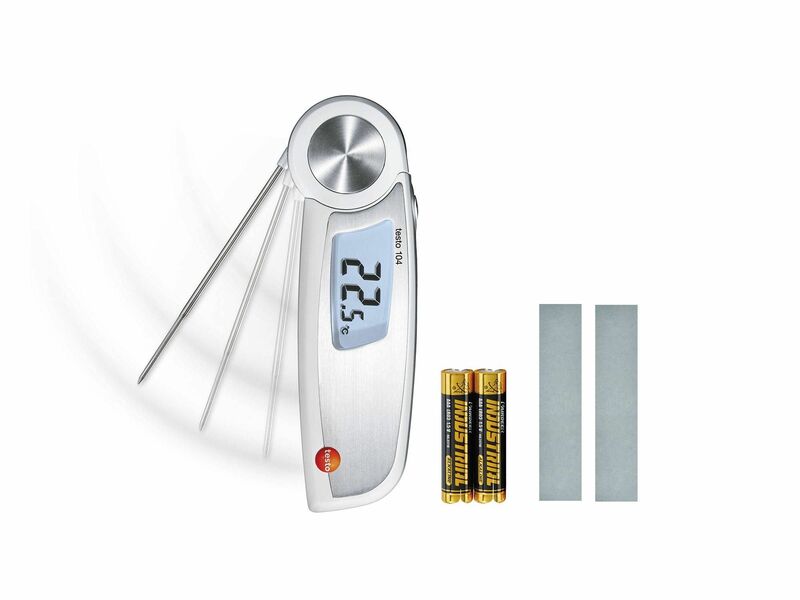 1 x testo 104 food thermometer with folding temperature sensor, user guide, calibration certificate, adhesive color strips, batteries.